Дорогие друзья, ведется набор мальчиков и девочек 5 лет и старше в новые группы. Комплекция и физическая подготовка при поступлении значения не имеют, однако вам нужно настроиться на серьезную подготовку в дальнейшем, поскольку ученики Irene School принимают участие в соревнованиях, в том числе международных. Locate an Irish Dance School HERE! The McGahan Lees Irish Dance Academy now holds classes all over the South of England. The Academy was founded by Frances McGahan, A.D.C.R.G., now an experienced and qualified teacher and adjudicator. All our teachers are fully qualified and registered with An Coimisiún le Rincí Gaelacha — one of the governing bodies of Irish dance. Our teaching staff also include our personal trainer, Katherine Grainge and qualified TCRG, Caroline Gray, who manages to come and help our dancers in between her Lord of the Dance performance commitments. Irish Dance Academy based in London operating for over 30 years. Registered with An Comisiún (CLRG) dance organisation. Catering for all ages specializing in competitive Irish dancing and grade examinations. Available for functions, weddings and events. Louise Skelly TCRG is a Qualified Teacher Registered with An Comisiún le Rince Gaelacha.. Originally from Dublin, dancing for many years with Aoife Finnegan at Dublin’s Irish Centre of Excellence Aras Chronáin, moving to London in 2013 to dance under the direction of Aaron Crosbie, ADCRG and eventually becoming a teacher in the Aaron Crosbie & Co. Irish Dance Academy. Experienced dance career, starting at the early age of 7, competing at regional, national and world level, wining numerous awards and titles. Danced in many exhibitions and events across the globe bringing the heritage and culture of Irish Dance to the World Stage. As a qualified teacher, choreographed routines for many Regional, National and World Champion dancers of all ages. Responsible for the training dancers who take lead roles in world renowned shows. Choreographs displays and dance shows on a regular basis. Manhattan’s premier Irish dance school, located on the Upper East Side of New York City. All classes taught by certified TCRGs. Accepting competitive and recreational students age 4 through adults. 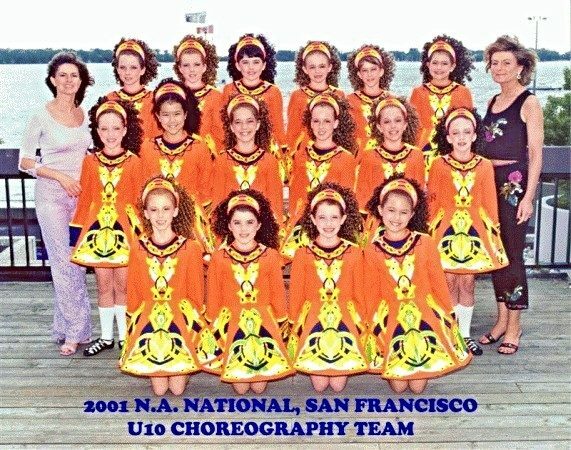 The "All About Irish" School of Dance in Oklahoma, under the direction of Diana Rodgers, was established in 2003. Promoted are small classes that create an atmosphere in which children are given quality time and are challenged and encouraged to excel in Irish dancing and more. Dancers range in age from 5 to adult. The "All About Irish" School of Dance is an Associate Member of Cumann Rince Naisiunta or referred to as CRN, the National Dance Association of Ireland. Offered is quality instruction in Irish dancing utilizing the standards of CRN. "It is the policy of CRN to encourage and protect tradition within Irish dancing”. Classes are currently held in Meeker and Shawnee, Oklahoma and expanding. Aniar Academy of Irish Dance specializes in teaching traditional Irish dance, culture, and music to the young and young at heart. Students are given individualized attention, and are given many opportunities to compete in feiseanna (competitions) and participate in shows. From beginner to world champions, ages 3 to adult, Aniar Academy welcomes all! Aniar Academy of Irish Dance is currently located in Laguna Niguel, California. We offer instruction for beginners on up through champion levels. We accept any student, at any age. Aranmore Academy of Irish Dance offers classes to children and adults in an enjoyable and supportive environment. Classes are taught by Marie Marzi, TCRG, in Broward and Palm Beach Counties, Florida. Ardagh School of Irish Dance is registered with CLRG. Classes are open to all dancers +5 years to adult in Tokyo and Yokohama, Japan. Irish Dance Instruction from former lead dancers of Riverdance and Lord of the Dance for competitive and recreational students age 4 and up in the Greater Danbury area. Studio locations in Newtown and Danbury, CT.
Akadémia írskeho tanca Avalon so sídlom v Bratislave bola založená v roku 2001 s cieľom poskytovať výučbu írskeho tanca. V dnešnej dobe má približne 90 členov – detí aj dospelých vo veku od 3-60 rokov, ktorí sa venujú tradičnému aj modernému írskemu tancu. Naši žiaci sa pravidelne zúčastňujú vystúpení a úspešne reprezentujú Slovensko na medzinárodných súťažiach v írskom tanci – „feis“. V roku 2014 tanečníci z našej akadémie reprezentovali Slovensko na Majstrovstvách sveta v írskom tanci v Londýne. The Baffa Academy of Irish Dance was founded in 2014 by T.C.R.G. Jessica Baffa, who previously toured with Riverdance, Lord of the Dance, and Feet of Flames. Students at the Baffa Academy are trained with professional guidance to reach their competitive goals and experience Irish culture. With locations in Fredericksburg, Stafford, and Richmond, Virginia, the academy recently celebrated their first successful year as part of An Coimisiun le Rinci Gaelacha. New dancing school to the Isle of Wight! Classes in Shanklin and Newport. Dancers can start from the age of 4 "Tiny Toes" to adult classes. Beginners to advanced/open dancers! The school run by Barbara Szenasi TCRG. With 25 years of dancing experience. Classes for all level and all ages. Teaching traditional and modern style. Competion and hobby groups as well. Barnes Academy Academy was established in 2002 in Hollister California by Allison Barnes.. Students who belong to the Academy enjoy performing in local performances as well as Irish Dance competitions. Barnes Academy is for all ages. Kinder ab 5 Jahren und Erwachsene, Aufnahme von totalen Anfängern bis zum Profi. Unsere Kurse bilden nach Richtlinien des globalen Tanzverbands für irischen Tanz professionelle irische Bühnentänzer und Tanzlehrer aus. Alle Gruppen- und Einzelstunden folgen dem Reglement des ältesten und größten globalen Irish Dance Verbandes "An Coimisiún le Rincí Gaelacha" mit Sitz in Dublin. Hier lernst du Irish Dance mit viel Spaß und Fleiß! 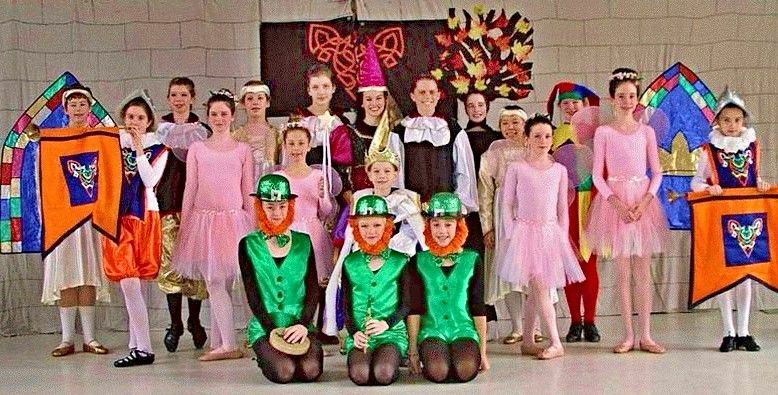 Fundiert von irischen Top Trainern ausgebildete Lehrer bringen dir (oder deinem Kind) den traditionellen irischen Step Dance bei - und das im Herzen von Berlin unserem Irish Dance Studio in Prenzlauer Berg! Originally established in 1995 as the Scannell School of Dancing, from 1998 the Scannell Ryan School and relaunched as the Blarney Dance Academy in 2010. Registered with the CLRG. Classes offered in Blarney, Co. Cork. The Bracken School of Irish Dance provides dance instruction to girls and boys ages five and older. The Bracken School of Irish Dance provides dance instruction to girls and boys ages five and older. Beginners are particularly welcomed at the school which caters to recreational as well as competitive dancing. The school was established in Ireland by Thomas P. Bracken in 1980 and opened in Chandler, Arizona almost twenty years ago. Over the years, Mr. Bracken's students have won World, National, and Regional Championship titles in solo dancing, and his ceile teams have placed in the top ten in the world. The school was ranked #12 in North America by Irish Dancing Magazine International. Mr. Bracken now brings this standard of excellence to our Salisbury studio. Based in Mexico City, we have over 12 years of experience teaching happy dancers. We love competitions, grade exams and shows. 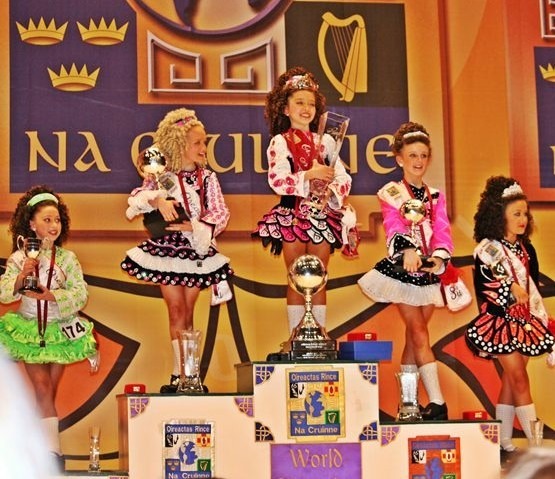 The Brennan-Lucey Irish Dance Academy caters to all types of dancers whether they dance for fun, exercise or competition. Classes are taught by World Champion Stephen Brennan and North American Champion Meghan Lucey in Fairfield, Milford and Hamden, Connecticut USA. The concept for the Brennan-Lucey Academy began when Stephen and Meghan met while on tour with Riverdance in 2007. After thousands of performances, including principle roles and dance-captaincies, countless television appearances and years of dancing and teaching side by side, Stephen and Meghan are still both the best of friends and are now both registered TCRGs with CLRG. Check out www.brennanlucey.com for your free trial class! Beginners and experienced dancers are welcome. No partner needed. Classes are taught by Micheal Minihane and Mary McDonagh. Tea and treats are served following the class. Children are welcome with adult supervision. Come join us for a fun night of dancing! At the Brosnan School of Irish Dance we offer Traditional Irish Step dance classes for children ages 4 to 18. Children are instructed in traditional Irish Step dancing which includes both soft and hard shoe dancing. In addition to learning a new skill students have fun, build self esteem, and make friends through dance and music. We participate in parades and performances all over throughout the year. In addition our school has recitals, family ceilis, and Irish Arts shows where our students have a chance to share their talents. 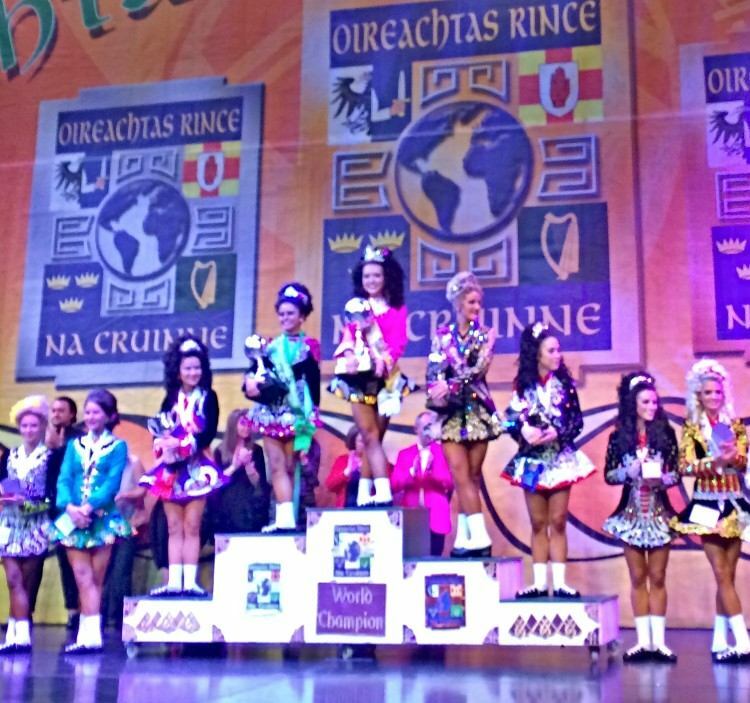 Many of our students compete in Irish Dance competitions called Feiseanna. All students are welcome to participate in our recitals and shows and some of our students just enjoy dancing in a classroom environment. Dancers can choose their level of participation and the direction they would like to take their skills learned in Irish Dance. Come check us out! We offer one free trial class per student. Please contact us at 415-259-0992 or lisa@brosnanschool.com to set up a trial class or to get further information on class days and times available. The Butler-Fearon-O’Connor School of Irish Dance is one of the top Irish dance schools in the world. Founded in 2003 as a result of a merge between the world-famous Butler-Fearon School of Canada and California, and the O’Connor-Kennedy School in California, it has quickly become the premier school in the western US and in eastern Canada, as well as internationally. The directors of the school are Rose Fearon, ADCRG, Vincent O’Connor, SDCRG and Kathleen O’Connor, ADCRG. Students in the Butler-Fearon-O’Connor School have won numerous titles, including North American, Australian, Great Britain, All-Scotland, All-Ireland, and World Champion. Several senior dancers with the school have toured with or are currently touring with shows such as Riverdance and Lord of the Dance. In Ontario, Canada, classes are located throughout the greater Toronto area, including Brampton and Georgetown, and London. Classes are offered for all levels of dancers, from very beginner to championship. We offer a variety of instruction from certified teachers in all locations, and strive to make each child the very best Irish dancer that they can be. We invite you join our school today, and become a champion of tomorrow. In the US, the school has locations throughout Southern California and in Northern California. Aisling and David McCabe are both principal dancers with Michael Flatley's Lord of the Dance and have toured the world for over 15 years. They are registered teachers with CLRG, and have come home to Dublin to set up Cabe Academy of Irish Dance. They are excited to teach Irish Dance in a fun and modern way to beginners from age 4+. Instruction by International Champions, former Riverdance Lead Dancer and Dance Captain. At the Casey O'Loughlin Academy, we strive to provide the highest level of instruction while promoting fun and fitness. ​Encouraging self-esteem and teamwork, is our mission. We offer competitive and recreational Irish Dance classes for children ages 4 and up in the Calgary Area. Teacher: Cara Casey O'Loughlin T.C.R.G. & Mark O'Loughlin T.C.R.G. The Cass-Barrington Academy offers the highest standard in competitive solos, teams, and performance Irish step dance instruction throughout the greater Houston, Texas area. Under the direction of professional show dancers, World, National, and Regional Champion instructors, we believe that every student deserves an equal opportunity to discover the positive life-changing lessons and experiences that Irish dancing has to offer. Students will learn what it means to be motivated, goal-oriented, a team player, self-disciplined and that hard work and fun can go hand-in-hand. Along with these important lessons, as students master their material, technique and move-up through the levels, they will build a sense of accomplishment and confidence that will carry through in all aspects of their lives. Beginner through Championship classes currently held in The Heights, Clear Lake/Webster, Katy and The Woodlands/Spring for boys and girls aged 5 and up. Catherine is a renowned Champion/ Title Holder / Professional Show Dancer. Registered with An Comhdhail na Muinteoiri Le Rinci Gaelacha Teoranta. Fully Insured and Garda Vetted. Classes offered are for Children, boys and girls age 3 years up. Classes available in Ashbourne, Co Meath, Ireland. Мы рады приветствовать вас на сайте школы Ceilidh ("кейли") – одной из ведущих школ ирландских танцев в Москве. С 2001 года наши двери открыты для всех, кто хочет научиться сложному, но захватывающему и уникальному в своем роде искусству ирландских танцев. Вы восхищаетесь солистами всемирно известных шоу Lord of the Dance и Riverdance? Или просто любите Зеленый Остров, ирландскую музыку и атмосферу всеобщего веселья, царящую в День Святого Патрика? Независимо от того, что именно привело вас на эту страницу, у нас вы найдете себе танцы по душе. Занятия в школе Ceilidh дадут вам возможность ощутить потрясающую энергию, удивительную легкость, позитив и радость, заложенные в танцах Ирландии – все то, что обеспечивает им мировую популярность уже долгие годы. Если вы хотите начать заниматься ирландскими танцами в Москве, напишите нам письмо на info@tnn-ceilidh.ru или позвоните по телефону: +7 916 032-84-87. Стоимость одного занятия 600 рублей, при оплате за месяц действуют скидки. Рядом с Москвой: у нас также идёт набор в группы ирландских танцев в Куркино (Химках), Новогорске, Одинцово, Реутове, Троицке, Ногинске. Если вы хотите заниматься там, пишите нам на info@tnn-ceilidh.ru. Established in 2017, Celtic Academy is under the direction of Principal Teacher Siobhan Collis TCRG, who is also an ESSA Accredited Exercise Physiologist. Celtic Academy classes cater for students of all ages and abilities - beginner through to championship dancers, ages 3+ (including adults). Contact us for more information regarding class times and locations. CELTIC ARGENTINA es la primera escuela de danzas irlandesas en Sudamérica, fundada en 1979 por Christine Rasmussen. Actualmente se encuentra bajo la dirección de su hija, Dominique Dure TCRG. Se especializa en la enseñanza del Step Dancing Irlandés y responde a la Comisión de Danzas Irlandesas de Dublin, conocida como An Coimisiún Le Rínce Gaelacha (CLRG). Celtic Fantasy is the first and only CLRG registered school in Croatia, providing CLRG standard teaching of all traditional and modern styles of Irish dancing - offers competition, show and hobby classes for all age groups and levels. Welcome to CIDA (Celtic Irish Dance Academy). CIDA is a new up- and- coming Los Angeles Irish Dance school under the direction of Riverdance Star, Maeve Croke, TCRG ADCRG. At CIDA, we strive to bring the best out in each dancer through inspirational and creative teaching. We nurture each student's unique abilities and talents, engrain a love of dance, and encourage elevated individual standards. Our dancers gain self-confidence, discipline, and learn the importance and benefits of teamwork while preparing for various performances. These events and performances can range from local community events to the World Irish Dance Championships. No matter what your goal is, there is a place for you here at CIDA, and we look forward to welcoming you to the CIDA family. Be an Athlete, Be an Artist, be A CIDA STAR! Our flagship studio is in North Hollywood, California and we also have classes in South Bay and Temecula. Er en danseskole som ble dannet i 2000 for alle i distriktet som ønsker å danse til irsk musikk. Vi startet med 10 ivrige ungdommer fra Fjell skole og har pr.2014 danset oss gjennom snart 15 år med elever fra hele Østlandet. Celtic Inspiration er medlem av CLRG (det irske danseforbundet) og RTME(Mainland Europe avd. Clrg) Klubben drives på frivillig grunnlag for å få hjulene til å gå rundt. Vi trener for tiden på ulike skoler i Eiker og har dansere på alle nivåer. Celtic holder gjerne kurs for skoleklasser, utdrikningslag, bursdager, eventer mm for alle interesserte eller på etterspørsel. Celtic holder også showoppvisning til bursdager, bryllup og julebord på etterspørsel.Vi setter sammen program etter deres behov og sceneplass. Celtic Steps School of Irish Dance specializes in Traditional Irish Solo and Ceili Dancing. Students of all skill levels, ages, and experience are welcome. Registrations going on NOW! Reserve your Free Class today. Irish step dancing combines the entrancing rhythms of traditional Celtic music with the grace and energy of dance. Instruction centers on the fundamentals of traditional Irish dance — timing, body position and footwork. Students work to achieve these fundamentals as they learn the basic steps, then progress to learn beginner reel, light jig, and slip jig steps. Building confidence, social, and team skills, students learn to dance in teams of two, three, four, six, and eight and sixteen. Students learn to dance in unison, developing spatial awareness as they dance the patterns of traditional ceili dances. Hard shoe dancing, popularized by Lord of the Dance, is usually taught to second and third year students. The unique rhythms of hornpipe and double jig music drive the steps and timing of these dances. Students also learn one or more of the Traditional Set Dances…dances designated by the Irish Commission which are dances to the same music and employ the same steps the world over. Sarah Costello TCRG from Belfast, N.Ireland owns and teaches Central Florida Irish Dance school under An Comhdhail. Sarah has toured worldwide as lead dancer, dance captain and musician with various professional Irish dance shows since 2003. Sarah teaches both adults and children at several locations in and around Orlando FL including Celebration, Winter Garden, St. Cloud, and Winter Park. 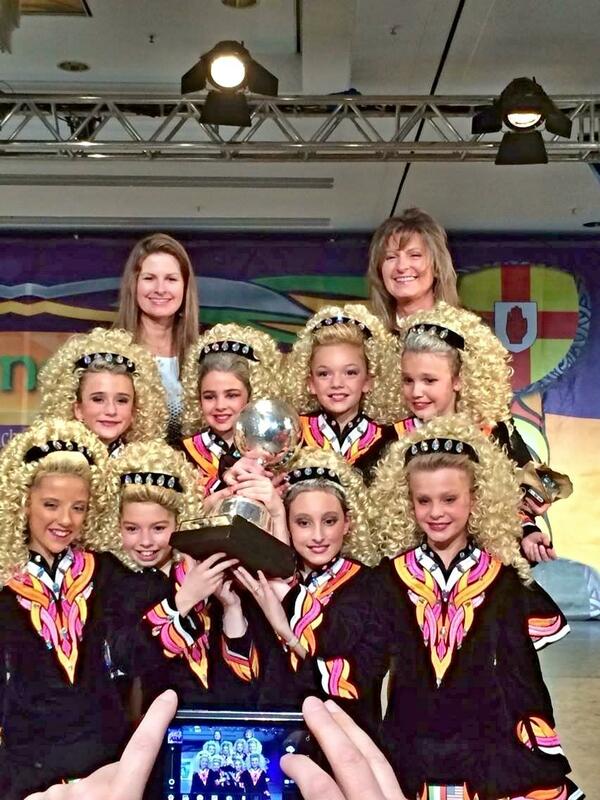 Sarah Costello TCRG from Belfast, N.Ireland owns and teaches Central Florida Irish Dance school under An Chomhdhail. Sarah has toured worldwide as lead dancer, dance captain and musician with various professional Irish dance shows since 2003. Sarah teaches both adults and children at several locations in and around Orlando, Florida including Celebration, Winter Garden, St. Cloud, and Winter Park. The Claddagh Dance Company has added a touch of authentic Irish culture to the lives of Southern California communities since 1985. Students range from four to adult, learning a mix of solo and group dances in the traditional soft and hard shoes. Irish dancing crosses all ethnicities at our school. Students have the opportunity to compete throughout the world and participate in community events. Classes offered in: Lake Forest, San Luis Obispo, Signal Hill Studio, Simi Valley, Westlake Village and Ventura, California. Clan Rince School of Irish Dance is a family-oriented studio deeply rooted in the San Diego, California community. We are dedicated to all of our students whether you dance recreationally or competitively. Training students to reach their individual goals and feel successful is our priority. Our teaching style isn’t the same for every student because everyone learns differently. Clarisa Rakos Irish Dance Academy is registered with An Comisiún Le Rincí Gaelacha. The school was founded in 2004 and is run by Clarisa Rakos who had the honor of being the first T.C.R.G. in Chile. Classes are offered for students of all ages and levels. They study the traditional art form of Irish dance (reels, jigs and hornpipes) in both soft and hard shoes. Members of the group qualify every year to represent the Western U.S. region at the World Championships held annually at Easter in Ireland. Dancers perform regularly at events throughout the Southland and have appeared many times on local and national television as well as Irish TV (RTE). Cleary Irish Dance is proud to perpetuate the traditions and culture of Ireland in Los Angeles. Corda Mor Irish Dance is run by sisters Fauna Gille, ADCRG, and Cassia Gille-Johnson, TCRG. Corda Mor dancers are taught to work hard and strive for excellence, all while having fun in a supportive community of dancers, families, and teachers. 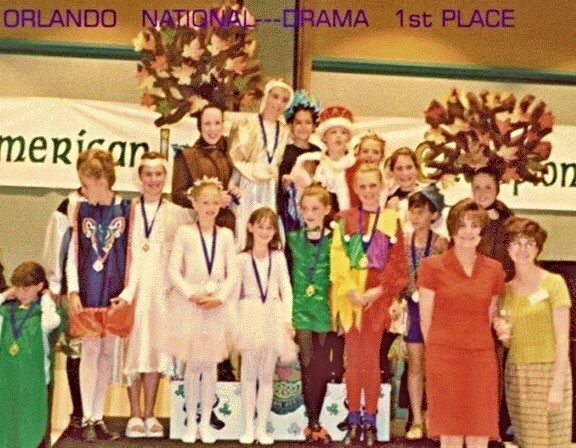 We are a competitive-based program teaching children 4 - 18, from beginning dancers to World Medal holders and beyond. Classes are held in Minneapolis, Minnesota. Corda Mor is a part of the Mid-America Region, CLRG. Social: Follow us on Instagram and Facebook! Located in Quertaro, Mexico. We offer competitive and recreational classes for students of all ages. 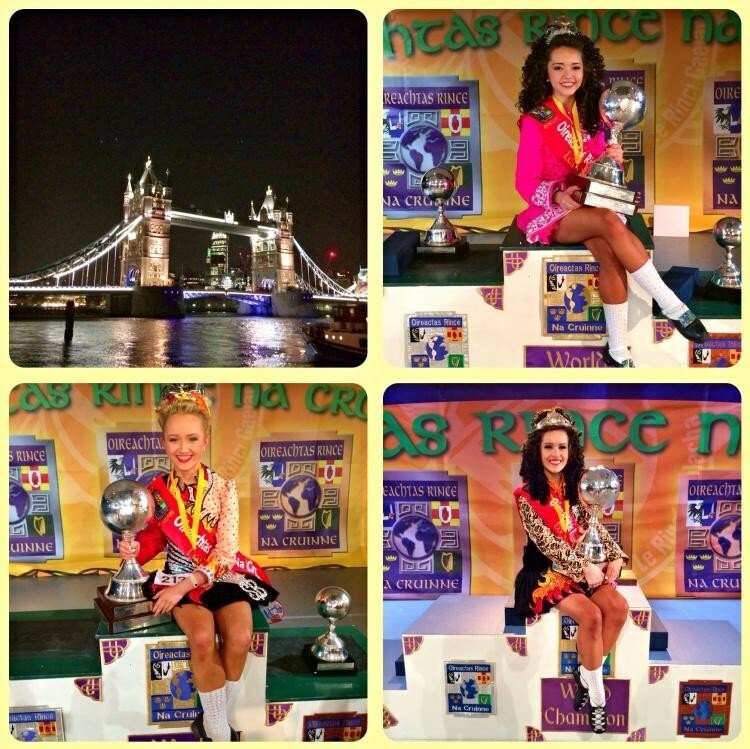 The mission of Costello Irish Dance is to train champions. Casey believes that every child has unbelievable talent just waiting to be discovered. He's committed to working with each student to make them the best and most confident dancer they can be. Click on the article to read all about the Costello School of Irish Dance as featured in the March 2016 issue of IDM. Classes in North Kerry, West Limerick, and North Cork. In Halifax, Nova Scotia, Canada. Founded in fall 2010 by Zeph Caissie, T.C.R.G. Offering classes for ages 4 to adult. The Dillon Magh Adhair Academy was founded in 2014 by Michael Dillon ADCRG BG a native of Co Clare. The Dillon Magh Adhair Academy was founded in 2014 by Michael Dillon ADCRG BG a native of Co Clare. DMA cover all aspects of irish dancing from children to adults and solos to teams and dance drama. The DoDo Academy was founded in 2011. At the school we have classes for preschoolers (3-6 years), kids (6-10 years) teenagers (10-16 years) and upwards. We have hobby classes for all the age groups as well as competitive classes (CLRG) for all levels. For Dodo Irish Dance is love of Dance, Rhythm and Perfection and this is what she would like to pass on to her students. Founded in 1991, by Karen and Lisa Petri, the Petri School of Irish Dancing has grown quickly and has become one of the preeminent Irish Dance schools in the world. The school has over 140 dancers aged 4 to 21. Classes are offered to beginners through champions at the Petri Studios in East Northport and Garden City, New York and Bethel, Connecticut. Dancers from the school have performed at numerous venues around the tri-state area including Carnegie Hall, Lincoln Center, & Madison Square Garden. The school is especially proud of its international competition accomplishments. 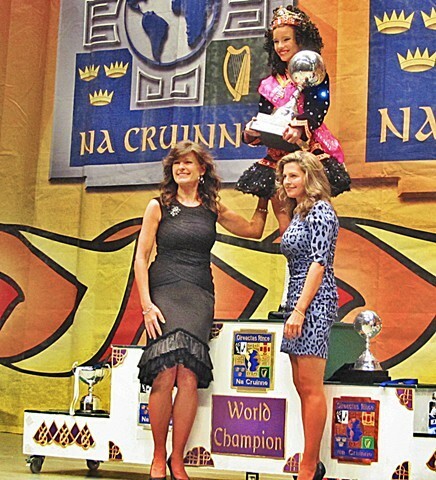 In 2005, Gabriella Wood, became the first Long Islander and only the fifth American woman to ever win the World Championships of Irish Dancing in its 35 year history. 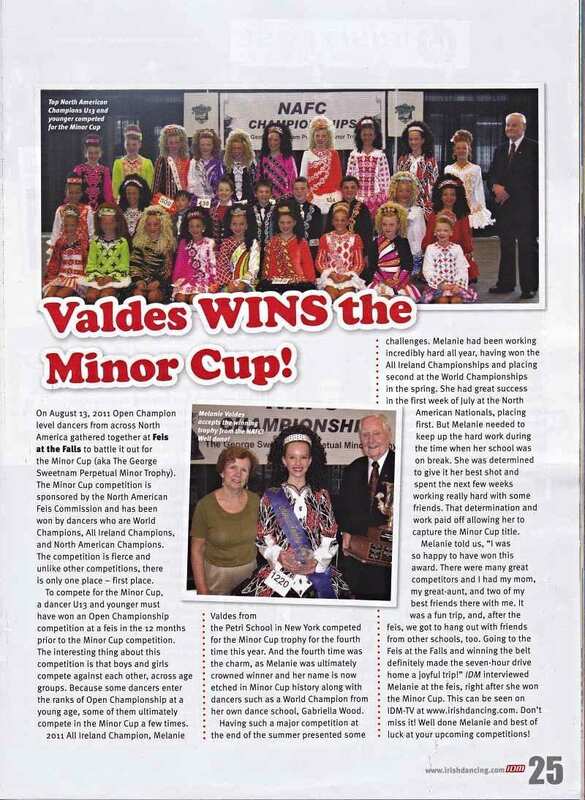 In June, 2005, Gabriella won the prestigious North American Feis Commission Minor Cup Championship in 2006 and was honored as the top North American Dancer under the age of 13. She also won the Junior Cup and the Senior Belt in subsequent years.. In 2009 Gabriella won the World Champioship again. She has also won the British National Championship, Great Britain Champioship, she has won the North American National Champioship 5 times and the Mid-Atlantic Oireachtas 7 times. In 2010, Julia O'Rourke became the second female dancer from the school to win the covoted World Championship title in Glasgow, Scotland. At the young age of 10, Julia won the prestigious All Ireland Championship, the Great Britain Championship, the North American National Championship 6 times and the Mid-Atlantic Oireachtas 8 times. Julia was the featured dancer on the on Irish Step Dancing movie "JIG" produced by Wellpark Productions. The documentary followed her for one year in preparation of her first World Championship in 2010. After multiple injuries Julia repeated has World Champion in 2014 and 2015.After placing 2nd in 2016 she reclaimed the crown in 2017. The school is under the direction of Donna Means King. Donna, a former undefeated Western USA champion, is a certified dance instructor and adjudicator. Nous proposons des cours de danse irlandaise en France, notamment dans le sud. Les cours sont assurés par Joanne Doyle, ancienne danseuse principale de Riverdance et TCRG (professeur certifié par la commission nationale de danse irlandaise d'Irlande). Des stages, spectacles, concours et d'autres manifestations sont aussi proposés tout au long de l'année, ouverts à tous les niveaux et tous les âges - enfants, ados, adultes. The Echoes of Erin School of Irish Dance classes in Hong Kong, Asia, offers children from 3yrs - adults classes in traditional and performance Irish Dancing. Whether it be for fun, fitness, competitions, examinations, performance opportunities or just to make new friends we would love to welcome you! Teacher: Catriona Newcombe TCRG. TMRF. Eilis Academy at Escalate is a CLRG certified school in Maple Grove, Minnesota. We offer classes from beginner to Championship, ages 5 and up as well as adults. Liz Hines, TCRG grew up dancing in the Twin Cities and founded Eilis Academy in 2012 with the hopes of fostering inspiration, dedication and teamwork to each of her students. - soft shoe dancing, which resembles classical ballet dancing, though it is more athletic with lifts where precise movements and positioning are at the core. - heavy shoe dancing which is similar to tap shoe dancing in terms of creating rhythms with the shoes. The style and atmosphere are different altogether though. Irish Step dance is a solo dance style which is performed in group as a choreography for performances only. A great thing about Irish dancing is that as with fashion, dances and costumes never stop to evolve. Of course, a dancer needs to learn the basic technique with traditional elements first, in order to start with the fancy stuff. With us, a correct technique is taught from the beginning in balance with ‘fun to dance’. Dance doesn’t go without good technique nor without pleasure. Hence we motivate our dancers to compete., though this is certainly no must. One starts best with Irish dancing at a young age. However, in Europe, Irish dance is also popular with adults. We are happy to teach all ages to dance Irish. The Ellis-Parr Irish Dance Academy family run Irish Dance school registered with CLRG. Our classes are open to children and adults of any age and ability and are held in the West London area. For more information, please visit our website or contact Lizzie Ellis-Parr TCRG. A warm Irish 'Failte' from the Finnegan Fitzpatrick Academy of Irish Dance! We are delighted to announce our beginner Irish step dancing classes for adults and children in the Orlando, Florida area. Amanda Finnegan hails from Galway in the West of Ireland and competed both nationally and internationally throughout her childhood. Amanda founded 'Damhsa Fit' encompassing Irish Dance Classes for adults, Irish Dance workshops, and Summer Camps (all ages/levels). Amanda has choreographed Irish dance showcases internationally, including a 'Taste of Ireland'. As well as having an extensive background in Irish Dance instruction, Amanda is a fully qualified and acting elementary school teacher. Danielle Fitzpatrick is from Dublin, Ireland. During her many competitive years of Irish dancing Danielle won the Dublin, Leinster and All-Ireland & International championships. Danielle went on to dance professionally and toured Europe and the US with world-renowned Irish Dance shows before deciding to move on and become a certified T.C.R.G Irish Dancing Teacher. Onze dansschool bestaat 10 jaar en biedt lessen Ierse en Schotse Highland dans op recreatief en competitief niveau. Iedereen komt er dus aan zijn trekken. Bij deze dansdisciplines leer je niet enkel gewoon wat pasjes; er wordt ook heel wat aandacht besteed aan de juiste techniek, balans en ritme. Het is sporten waarbij het niet puur om benenwerk draait; ook andere spiergroepen en je geheugen worden getraind. Kortom, je conditie heeft er baat bij en het is nog leuk ook. The Flying Irish has locations in Ashby & Groton, Massachusetts, close to the New Hampshire border. The Flying Irish has locations in Ashby & Groton, Massachusetts, close to the New Hampshire border. We are a member of Rince Tuatha Nua. The Flying Irish was founded in 1997 by Mary-Sarah O'Hanlon, TCRG, ADCRG. Classes are offered to children and adults; all students (including adults) are welcome to participate in competitions and performances. Our dancers show their talent in regional, national and international competitions. 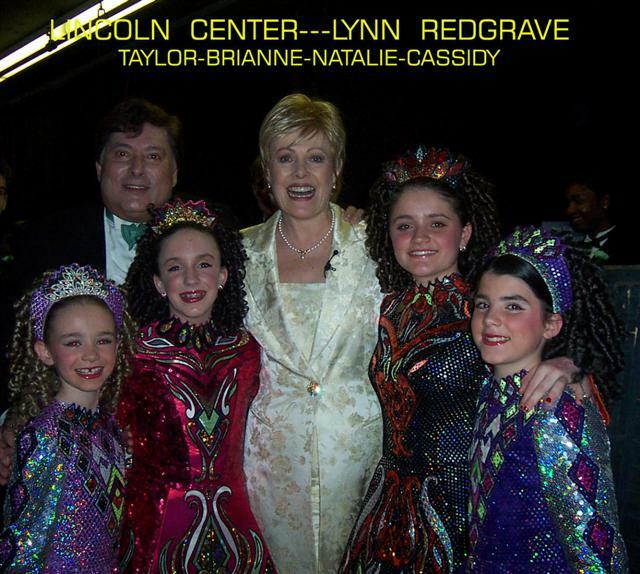 Molly Francis-Lutwin has her internationally recognized TCRG certification to teach traditional Irish dancing. She has competed for over fifteen years in solo and ceili (group) competitions all over North America, the United Kingdom, and Ireland. She founded the Francis Academy of Irish Dance in 2009, in the heart of Tipperary Hill in Syracuse, New York. Come and join the fun and learn traditional Irish Dancing from an enthusiastic instructor. The only CLRG School between Berlin, Hannover an the Dutch Border, established in 1996 and led by Robert Gabriell, the original Choreographer of "Magic of the Dance". Bei uns bekommt jede/r die Gelegenheit an Auftritten, nationalen und internationalen Feiseanna (Wettbewerben) oder an Grade Exams (Tanzprüfungen) teilzunehmen! Gabriela and Jan, now already wife and husband, met thanks to irish dance in 2001. Since then they have gone through own successful competitive careers, experience in international dance show, teaching at The School of Art, running irish dance group and they have been teaching both children and grown-ups focusing on competitive purpouses all along the way. Strength, will, control, discipline, determination. Irish dance makes people not only fit but also and may be even more makes them better humans. Founded in 1993 by Umberto Crespi, for over 25 years spreads the Irish dance in Italy. Present in 21 cities with over 600 students. It offers courses for fun, competitions and shows. Collaborate with public and private bodies. Official testimonial in Italy of the Tourism Ireland. The Golding Academy is open year-round and offers seasonal sessions and pay-as-you-go Irish dance instruction in New York City, Scarsdale, and Tuckahoe, NY. Registration is always open to dancers of all levels and ages. We offer Pilates infused Irish dance classes as well as private lessons for students with competitive, performance, or recreational goals. The Gra na Rince School of Irish Dancing is based in the Midlands region and registered with CLRG. The Gra na Rince School of Irish Dancing is based in the Midlands region and registered with CLRG. Boys and girls of all abilities aged 4 and up are welcome to join us to dance just for fun or in preparation for competitions, exams and shows. Classes held in Selly Oak & Kings Norton (Birmingham), and Redditch & Studley. The Grace Kennedy School is registered with An Coimisiún Le Rincí Gaelacha and offer Irish Dance classes across South Manchester & Cheshire. Classes are are available for children aged 3+ and dancers have the opportunity to compete at Feisanna, take grade exams and participate in show performances, locally and nationally throughout the year. The Gray School of Irish Dance, is the premier School of Irish Step Dance in Connecticut, with nearly 40 years of experience teaching dance to children from all over Connecticut, Massachusetts and New York. Established in 1977, The Gray School is home to North American Irish Dance Champions, New England Regional Champions, World Champions and all Ireland Medalists. We offer classes and graded exams in Traditional Irish Dance taught to the standards of An Coimisiún Le Rincí Gaelacha - The Irish Dancing Commission. Our faculty includes Iris Gray Sharnick A.D.C.R.G. and Maura Gray A.D.C.R.G. along with world-class visiting teachers, performance coaches, and strength & conditioning experts. We offer classes in South Eastern Connecticut from our studio at Old Saybrook and with a student body made up of both children and adults of all ages and levels. Teacher: Iris Gray Sharnick A.D.C.R.G. and Maura Gray A.D.C.R.G. Jackie Greenway, TCRG began dancing at the age of 9 with lessons in Camarillo and went on to become the first National Champion in California, in addition winning 12 Western Regional Titles, 3 National Championships and placing in the top each year at the World Championships of Irish Dancing in Ireland. Jackie also enjoyed traveling and dancing with the Chieftains, and performing throughout the County and State. In 1991, Jackie began the Greenway Academy of Irish Dance with classes located in Camarillo, California. Her goal was to pass on her love of Irish Dance, teaching dancers of all ages to strive for their best. Her school has achieved many of the same successes; including winning Regional Titles, National Titles and World Medals. The goal at the Greenway Academy is to be a team, enjoy classes, work hard, be your best and make friends that last a life time! Established in 1994, the Halpin School of Irish Dance is situated in the city of Stuttgart, Baden Württemburg, in South West Germany. Its founder, Áine Halpin (T.C.R.G.) is a fully qualified Irish Dancing teacher with CLRG (one of only 5 in Germany) and the first person in Baden Württemburg.The school holds classes for all age groups from 4 years and up. All dancers have the opportunity to take part in competitions, ceilis, workshops and show performances. HSID dancers compete at feisanna organized by CLRG throughout Mainland Europe. With schools in Spokane and Kettle Falls, Washington, the Haran Irish Dancers have been beloved by Northwest audiences for 18 years. Our schools are made up of dancers from age 6 to 60 and beginners to world-class champions. Our love of dance shines through in everything we do. Based in Honolulu, Hawaii on the island of Oahu, Hawaii Irish Dance proudly offers instruction in traditional and modern Irish dancing. Classes are held every Tuesday evening and students learn ceili dances, solo steps, and traditional set dances. Dancers perform year-round at local venues and events and enjoy the support and enthusiasm of Hawaii's Irish community. All levels, including complete beginners, are welcome. The Hennessey-McVeigh School of Irish Dancing is run by Aisling Mc Veigh (Riverdance, Gael Force) and Mark Hennessey (Lord of the Dance, Feet of Flames, Celtic Tiger) holds classes in Trim and Navan Co. Meath. The classes are suitable for boys and girls of all standards from ages 4 and up. Adult classes are also available. Both Aisling & Mark are fully qualified Irish dancing teachers (TCRG) and are registered with An Coimisiún le Rincí Gaelacha. Classes are offered in Navan, Trim & Arklow, Co. Meath. The classes are aimed at keeping dancing fun as well as providing healthy exercise. There are also regular workshops which are aimed at preparing those pupils who may wish to enter Feiseanna (Irish Dance Competitions) although these are by no means compulsory. Please have a look around our website and feel free to contact us if you have any questions. We would love to hear from you. Under the direction of World Champions Niall Holly & Joanne Kavanagh, H&K provides a professional and inviting environment for students of all levels and abilities. Irish dance classes, workshops and other related activities for children and adults. 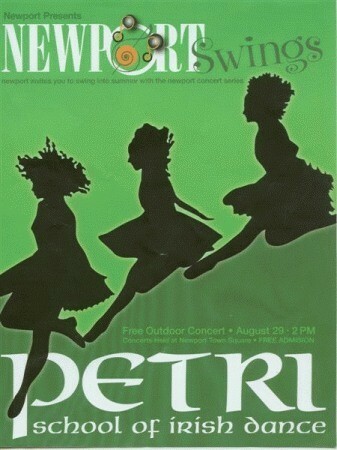 Irish step dancing (all levels) - competition and non-competition style, sean nós dancing, ceilí and set dancing. In our classes you will find an individual approach, friendly atmosphere, professional and qualified teachers with Master degree in Dance Performance at University of Limerick, active TCRG registered with CLRG and RCCEA (RTME), professionals with long-term teaching and performing experience home and abroad, co-operation with accomplished and respected individuals in Irish dance scene, etc. We run regular classes and workshops in the Czech Republic (Prague, Brno, Most), Finland (Helsinki, Tampere, Turku, Jyväskylä) and Germany (Hildrizhausen). Танцевальная группа первой и старейшей московской школы ирландского танца IRIDAN выступает с февраля 2000 года. Школа стала постоянным участником большинства крупных московских концертов, посвященных ирландской музыке и танцам. День рождения Школы мы отмечаем 1 марта, ведь именно в марте 2000 года была собрана первая группа новичков. Сейчас у школы есть филиалы в Алматы, Брянске, Волгограде, Воронеже, Йошкар-Оле, Калининграде, Краснодаре, Мурманске, Самаре, Севастополе, Сыктывкаре, Туле, Ульяновске и Перми. Iris, messaggera dei colori d’Irlanda, è orgogliosa di promuovere la danza irlandese in ogni sua forma per un pubblico di tutte le età e di ogni livello. Inclusione, coesione, divertimento, sviluppo del proprio potenziale sono le nostre priorità. Ci concentriamo sulla danza tradizionale irlandese e sui moderni stili di performance con enfasi su fitness, presenza scenica e lavoro di squadra. Willst du Irish Dance lernen? Wohnst Du in Wien, Niederösterreich und Oberlaa ist Dir nicht zu weit? Die IRISH DANCE ACADEMY ist an den Dachverband „An Coimisiún le Rincí Gaelacha“ angeschlossen und ist Mitglied von „RCCEA – RTME„. Was sind die nächsten Schritte um Irish Dance zu lernen. Nimm mit uns Kontakt auf unter 0699 17775555 und vereinbare Deine Schnuppereinheit. Established in 2002, Irish Dance Arabia offers classes in Doha, Qatar and Dubai, UAE for children aged 4 and above. Dancers are encouraged to participate in both performances and competitions. Classes are run according to the CLRG (An Comisiun le Rinci Gaelacha, Dublin) grade exam syllabus. Grade exams are offered to all dancers once a year (usually November). Mit Ursula, Harald & Melanie Habermayer hat das Irish Dance Center Vienna drei Österreicher, die mit Erfolg ihre TCRG Prüfung bei der An Coimisiùn, dem weltgrößten Verband für Irish Dance mit Sitz in Dublin, bestanden haben! Gemeinsam unterrichten sie die Schüler und Schülerinnen nach den Regeln und Traditionen der An Coimisiùn le Rinci Gaelacha. Im Irish Dance Center Vienna wird regelmäßig von drei geprüften Lehrern (TCRG) unterrichtet, was unseren Tänzerinnen und Tänzern die beste, in Wien erhältliche, Ausbildung in Irish Dance garantiert! Im Irish Dance Center Vienna wird Tanz als wettbewerbsorientierter Sport unterrichtet. Kinder ab 6 Jahren werden im Irish Dance Center Vienna unterrichtet! Our Irish Dance school was founded in 2005 by Sven Riegel. There are about 15 to 20 dancers of different ages in our group. The training is run by Ines Walzog. One can learn traditional as well as modern Irish Dance. We successfully enter contests and are regularly booked for small and large events in and around Dresden. We’ll celebrate our 10th anniversary next year. For this purpose, we’re preparing a dance fairytale right now. Irish Dance Lisboa is about forming friendships, respect, discipline and most importantly keeping fit and having fun! Whatever your dance orientated goals, we can achieve them together! The classes are open to dancers of all ages and ability (+3 years to adult), retired dancers are particularly welcome! Irish Dance School se nalazi u Beogradu i specijalizovana je škola za irski ples. Ogranak je Steysha school of Irish Dance iz Bukurešta koju vodi Mara Cernat T.C.R.G. Od svog osnivanja 2014. godine članica je najveće međunarodne organizacije An Coimisiún Le Rincí Gaelacha – CLRG sa sedištem u Dablinu. Cilj ove organizacije je cilj da irski ples sačuva i promoviše, a bavi se i očuvanjem i promocijom irskog jezika. CLRG garantuje visok standard podučavanja irskog plesa u svim školama koje su njeni članovi. Irish Dance Belgrade poštuje visoke standarde podučavanja koje propisuje CLRG i treninzi se organizuju na način koji praktikuju brojne škole u Irskoj. Za kratko vreme od svog osnivanja škola je postigla značajne rezultate na lokalnim i međunarodnim plesnim takmičenjima. Pored redovnih treninga organizuje i radionice sa inostranim učiteljima. Na taj način svojim polaznicima omogućava da steknu najbolji uvid u tehniku irskog plesa i da usavrše svoje veštine. Škola organizuje stalne kurseve tradicionalnog i modernog irskog plesa za decu (5+) i odrasle. Zahvaljujući velikodušnoj donaciji The Marie Duffy Foundation, kao i donacijama bivših i sadašnjih polaznika, škola poseduje određeni broj pari cipela za irski ples koji na korišćenje nudi plesačima koji ne mogu da priušte nov par cipela. Kursevi su prilagođeni željama i mogućnostima polaznika. Bez obzira da li želite da se opustite, zabavite, rekreirate, ili želite da nastupate i učestvujete na takmičenjima, Irish Dance School Belgrade vam u tome može pomoći. Irish Spin has been opened in 2016 by Małgorzata Szarycz (T.C.R.G.). Training plan is designed for children, teenagers and also adulds. It contains: solo and team dancing. Oferujemy profesjonalne treningi tańca irlandzkiego dla dzieci i dorosłych. W ramach zajęć zapewniamy przygotowanie do zawodów tanecznych zarówno w konkurencjach solowych (tańce w baletkach i butach do stepu) oraz drużynowych. Nasz program opiera się na ćwiczeniach balansu, treningu wytrzymałościowym i siłowym a także sesjach rozciągających. (TCRG / ADCRG), מורה ושופט מוסמך בריקוד אירי, הוא המרכז הראשון בארץ להוראת הריקוד האירי, הפועל משנת 2002. במרכז נלמד הריקוד האירי על מרכיביו: המחול והסטפס האירי. התלמידים לומדים את הריקוד הן בסגנונו המסורתי והן בסגנון המודרני שהתפתח ומוצג במופעי הריקוד בחו"ל כגון: Lord of the Dance ו- Riverdance. במרכז לומדים כיום מעל 250 תלמידים ברחבי הארץ: רמת-אביב, רעננה, חולון, רמת גן, פתח תקוה, חיפה, תל אביב, נתניה, ירושלים ורחובות לפי קבוצות של ילדים, נוער ומבוגרים. 'אייריש דאנס – ישראל' מציעה מגוון תוכניות לימוד ברוח המסורת והתרבות האירית, משיעורי ריקוד מקצועיים, ובתוכם שיעורי טכניקה, ועד לרמת להקת ריקוד למי שחפץ/ה להתמקצע ולהופיע. האקדמיה גם מקיימת תחרויות לתלמידים מדי חצי שנה, ברוח מסורת התחרויות לריקוד אירי המתקיימות במרכזי התרבות הקלטית בעולם – אירלנד, אנגליה וארצות-הברית. 'אייריש דאנס – ישראל' מעבירה סדנאות, הפעלות והופעות בכל הקשור לריקוד האירי: מסדנאות לבתי-ספר, דרך ימי עיון ועד להופעות תיאטרון ואירועי עובדים לחברות ולמוסדות גדולים. 3V studio, 10 Shazar St.
Szkoła Tańca Irlandzkiego ISTA zrzeszona w Komisji Tańca Irlandzkiego (CLRG) w Dublinie. Szkoła posiada swoje filie w Trójmieście i Poznaniu. The Keenan Irish Dance School is located in Sonoma County, California under the direction of Fidelma Keenan-Glaser, TCRG. Mrs. Keenan-Glaser became an accredited Irish dance teacher after having competed very successfully at the world championship level. The school's mission is to bring the joy and beauty of Irish dance to children of all ages and abilities, from beginners to championship dancers who compete worldwide. The Keenan Irish Dance School offers traditional Irish dance classes for K.I.D.S. ages 4 and up in Petaluma, Santa Rosa, and Sonoma. The Kelly School of Irish Dance is home to some of the most fabulous Irish Dancers in Rhode Island. The Kelly School of Irish Dance is home to some of the most fabulous Irish Dancers in Rhode Island. We teach traditional and modern Irish Dances with a perfect blend of whimsy, culture, and fun. Our quirkiness, and signature KSID charm creates dancers who Smile, Sparkle & Shine on and off the dance floor. Classes are offered to the littlest of dancers through adults, beginners to champions. KSID offers both competitive and recreational dance programs, private lessons, workshops, Ceili classes, and our favorite, performance production classes. With locations in Coventry and Providence, Rhode Island, KSID was established in 2011 under the guidance of Meghan Kelly, T.C.R.G. Our studio is equipped with sprung dance floors, full length dance mirrors, and plenty of sparkle & shine! KSID is home to the first American dancer to win the WIDA European Championships, and the current 2018 CRDM U18 World Champion. After a successful beginning in Open Platform organizations, KSID is now registered and proud to be affiliated with The Irish Dance Commission, An Coimisiún le Rincí Gaelacha, CLRG. The Kelly School of Traditional Irish dance has been bringing Irish Dance and culture to hundreds of South Bay children for over 35 years. The school was originally started by Joan Kelly, who has handed down the celtic traditions and teachings to her twin daughters Claire and Carol. Together, the Kelly family continues to bring irish culture and tradition to children of the south bay in a warm family atmosphere. The school is under the direction of Claire Kelly Maxwell, ADCRG, Carol Kelly Pirsztuk, ADCRG and Joan Kelly, TCRG. 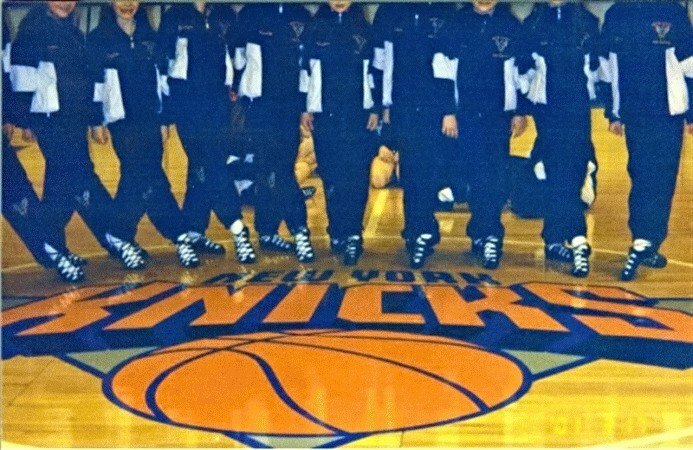 The Kelly-Oster School of Irish Dance is a family tradition & the official Irish dance school of Putnam County, NY, with over 35 years of experience teaching dance to children from all over norther Westchester, Putnam & Dutchess counties in New York. Established in 1982, The Kelly-Oster School is home to North American Irish Dance Champions, Mid-Atlantic Regional Champions, New England Regional Champions, World and all Ireland Medalists. We offer classes and graded exams in Traditional Irish Dance taught to the standards of An Coimisiún Le Rincí Gaelacha - The Irish Dancing Commission. Our faculty includes Kerry Kelly Oster A.D.C.R.G., Karyn K Oster A.D.C.R.G. Meghan Oster Gersten T.C.R.G., Katie Roper Izzo T.C.R.G. along with world-class visiting teachers, performance coaches, and strength & conditioning experts. We offer classes in Baldwin Place, NY at our main studio, and at our satellite location in Hopewell Junction, NY, with a student body made up of both children and adults of all ages and levels. The Kilkenny School of Irish Dance was established by Sean Kilkenny, TCRG, in The Hague, Netherlands, with the aim is to enable all dancers to achieve the highest they can in all aspects of Irish dance both at a competitive and performance level. So, whether you aspire to becoming a World Champion, a dancer in a global show or whether you would just like to do something different and meet new people along the way, then do not hesitate to come and see one of our classes. Nabízíme pravidelné lekce irských tancůpro dospělé (děti jsou vítány ve věku 7 - 15 let) a amerického country stepu Cloggingpro dospělé i děti od 10 let. Lekce nabízíme v Praze a Brně. Učíme úplné začátečníky i velmi pokročilé tanečníky. Vystupujeme a soutěžíme v ČR i zahraničí, navštěvujeme zajímavé akce. We are Queensland's longest established Irish dancing school, providing quality dance tuition in Brisbane, Australia for over 32 years. We accommodate from first-time beginners to advanced dancers ready to take it to the next level. We place strong emphasis on technique and correct training from our highly qualified teachers, Vicki Lynagh ADCRG & Brighid Cox TCRG. Teacher:Vicki Lynagh ADCRG & Brighid Cox TCRG. M.J.P. Academy of Irish dance is one of Calgary’s top Irish dance schools, offering classes in both the north and South of Calgary, Alberta. M.J.P. has taken numerous dancers to Championship level in competition and has had dancers qualify for and compete at both North American Championships and the World Championships. Consisting of dancers from age 2 all the way through to adult, our dance lessons help people of all ages discover self-confidence, teamwork & leadership skills. Our goal is to develop not only a dancer's strength, flexibility, and endurance, but also an awareness of a healthy lifestyle. Our dancers have the option to focus on competitive dancing, show dancing or, to dance for fitness and for fun. We help our dancers to achieve a high level of standard in their dancing no matter which path they choose. Teacher: Joelle Sheppard T.C.R.G., A.D.C.R.G. Teacher: Debbie MacVoy T.C.R.G., A.D.C.R.G. Located in Waterford & Tramore, Munster, Ireland. Proud members of An Coimisiún le Rincí Gaelacha. If you would like your child dance, have fun, get fit, build confidence, create life long friends and stimulate their musicality, then this is the Irish Dance School for you! We strive to develop and create a love of Irish Dance and a passion for the Irish culture and language while instilling great team spirit, with a high standard of instruction. We encourage dancers to be the best they can be, while building self esteem and instilling a good sense of sportsmanship. Classes open to boys and girls aged 3+, held in both Waterford City and Tramore, Co Waterford. t the Maguire Academy of Irish Dance, students get a chance to learn from some of the best dancers in the world. There are currently four schools located in Tucson & Phoenix, Arizona and Dallas & Houston, Texas. Over the years, Darren has gathered a highly-skilled staff that has performed at some of the world’s largest stages. Strives toward excellence, while celebrating the joy of dance and competition. Cultivates creative leaders, mentors, and cultural ambassadors. Provides a safe, fun, and friendly environment for children to learn Irish Dance and form lasting friendships. Celebrate Irish culture and heritage. Discipline, responsibility, competition, hard work, and passion – all part of what Maguire Academy of Irish Dance is all about. The respect we give students is something that they will take with them as they move forward in life. In turn, our dancers conduct themselves with the utmost respect for others. We expect nothing less. And when dancers are ready to compete, they are taught self-respect and are always congratulatory towards their fellow classmates. Maguire O’Shea Switzerland was set up in 2016 and is an additional branch of the well known Maguire O’Shea Academy in London. Set up by Michael & Deirdre Maguire, the school has over 50 students from Children to Adults who attend classes in Basel and Zurich. The school has produced champion dancers who have won numerous European titles and medals. With 4 world qualifiers, the Academy are extremely proud of their dancers who competed at the World’s in Dublin 2017. Additionally, it was a first for the school as their dancer Katie West brought home the Aisling Award in the u18 Girls Championship, a first for a Swiss dancer. Their dancers can be seen performing at many events throughout the year including the Basel Irish Club St Patrick’s celebrations, Zurich Tantz, Tanzparade Basel & the World Economic Forum in Davos 2017. Their senior dancers perform at corporate events and weddings providing Irish dance entertainment. Get in touch today and book Irish dancers for your event! Are you interested in joining the school? The classes are taught in English & German, a great way for you or your child to develop your language skills. Email us today and get more information about the perfect class for you. Welcome to the Malone Academy of Irish Dance; a proud member of the San Diego, California Irish community. We offer classes for children through adults, beginner through open championship levels. At the Malone Academy, we strive for well-rounded dance training and, for that reason, we are in residence at San Diego's premier dance studio, the Academy of Performing Arts www.apastudios.com. We are pleased to have recently added a new location at Metro Dance I near Old Town http://www.metrodancesd.com. Students not only have the opportunity to participate in Irish dance, but in other forms of dance. Along with dance classes, our academy students participate in competitions and performances. Many of our dancers have traveled nationally and internationally to compete in Regional, National, All-Ireland and World Championships. Additionally, they have performed around and outside the United States. Contact us at malonechiles@sbcglobal.net or 619-787-8875 if you want to be a part of our exciting Irish dance academy. First school in Belgium with 20 years of Irish Dance experience, classes for all level and all ages. First school in Belgium with 20 years of Irish Dance experience, classes for all level and all ages. Teaching traditional and modern style with Show & Competition possebility, connected with “Rinceoirt na Riochta” Tralee-Ireland. Irish Dancing classes available in Glasgow. Boys and Girls 3+. Learn to dance in a fun and friendly environment. All levels welcome. Offering classes for both children & adults. In 2015 McGahan Lees was proud to announce the opening of classes in both Prague and Warsaw, formerly run by The Delaney Academy. Classes will be lead by McGL TCRG Leanne Gray and will operate under the RTME European guidelines. The McGovern Ceili Dancers offer exceptional Irish dance instruction for ages 4 to adult, from beginner to championship levels. We strive to develop the self-esteem, confidence, and Irish dance skills of each dancer in a positive, nurturing environment where all of our students can reach their full potential. We work to instill a sense of unity and friendship among our students and their families through a variety of Irish cultural events such as the Dayton Celtic Festival, Celtic Fest Ohio, Dayton’s A World A’fair, Troy Festival of Nations, Global Fest in West Lafayette IN and more. Our dancers also have several opportunities to participate in local, national and international Irish dance competitions governed by CRN. With classes in Kilmacanogue, Laragh, Moneystown, Rathdrum and Roundwood, Ireland the McGrath Flood School of Irish Dancing offers classes 4 days a week taught by Eimear McGrath TCRG, Cian Flood TCRG and Aoife McGrath TCRG. Teachers are insured, Garda vetted and registered with An Chomhdháil. The McHale Academy of Irish Dancing - Building confidence and above all, promoting good health and fitness through Irish Dance within a professional and friendly environment. All classes under the instruction of 4 times World Champion Irish Dancer & former Riverdance cast member, Declan McHale TCRG. The McKeever School of Irish Dance was founded by Riverdance Star Nicole McKeever in 2013. She holds a MA Degree from the University of Limerick in Irish Dance Performance. We are located at the prestigious E. Claire Raley Studios for the Performing Arts and have classes for all ages and levels. The McMahon School of Irish Dancing is a CLRG school. Our classes are in Brookvale, South Coogee and Mosman, NSW, Australia. We have adult classes and a junior school. Irish Dance Classes for kids and adults from aged 3+ years. Wir sind ein Tanzsportverein aus Braunschweig und widmen uns dem Irischen Stepptanz. Wir sind seit 2003 als Verein stetig gewachsen und tanzen sowohl auf Wettkämpfen als auch auf Auftritten. Michael Patrick Gallagher (ADCRG), former lead male dancer in Riverdance, runs the Michael Patrick Gallagher School of Irish Dance, located in North Phoenix, serving students from Phoenix, Scottsdale, Peoria, and surrounding cities. Come join us! Why Irish Dance? Irish dance is a fantastic way for both adults and kids to learn a new skill, be involved in outstanding physical activity, and connect with a rich cultural tradition. The music is lively and engaging. But mostly, Irish dance is fun! Who can Irish Dance? Anyone! Our classes are suited for ages 5-adult, all levels from beginners with no experience through championship level. Our studio location in North Phoenix, just off of the 51 freeway, is convenient and easy to find. How do I get involved? Contact Michael Pat to schedule a time to check out a class. We have students from all parts of Phoenix and Scottsdale participating in performances all around the greater Phoenix area, the state of Arizona, and the world! Established in 2016, the Michigan State University Irish Dance Club has been committed to sharing their love of Irish Culture with those in the East Lansing Area. Each member has a diverse dance background but being a part of this club allows them to come together to Irish dance and do what they are passionate about. Through performing around campus, and even at a Detroit Pistons basketball game, the club enjoys being able to spread Irish festivity. Go Green! Mulvihill Academy is about having fun, improving concentration and above all, promoting good health and fitness through Irish Dance within a positive environment. The Mulvihill Academy of Irish Dance is based in South East London and Kent. It aspires towards excellence in Irish Dancing. The Academy’s goal is to teach every dancer to the best of their ability and to provide numerous opportunities for learning and success. Classes are available to boys and girls from age 4+ and in dance level from beginner through championship. Students have the opportunity to perform and compete on a local, national and international level. At the Mulvihill Academy, dancers will learn to Irish dance in a fun, friendly and positive environment. Irish dance is a healthy activity that not only provides great exercise, but also helps develop confidence. It improves concentration, increases balance and coordination and promotes structure and discipline. All classes are taught by Rachel Mulvihill, a qualified TCRG registered with Cumann Rince Dea Mheasa. Relevant police checks (DBS), insurance, first aid and child protection policies are all in place. The Mulvihill Academy of Irish Dance is based in South East London and Kent with classes in Cherepovets, Russia. It aspires towards excellence in Irish Dancing. Classes available for boys and girls aged 3+, from beginner through to championship level. The Murphy Gray Academy of Irish Dance invites new and experienced dancers to join our Irish Dancing family. Learn for fun and fitness or join our elite competitive dancers. Students will learn to dance in a fun, friendly and positive environment. We pride ourselves on treating every child as an individual, developing their confidence and encouraging them to be the best that they can be. Class locations all over Kildare including Clane, Prosperous, Coill Dubh and Kill. The NDSMC Irish dance club consists of about 70 total members who are divided into two separate teams – blue and gold. Throughout the year, we perform on campus on football weekends, at various events on campus, and we have one big showcase of all our dances in January. One of our oldest traditions is taking a ceili to the All Irelands Championships, at which we have competed eight times. Nuala es un nombre femenino de origen irlandés, que significa "valiente", "luchadora" y a la vez "excepcionalmente encantadora". ¡Así como nosotras! Ofrecemos gran variedad de clases, formación profesional, espectáculos de música y danza irlandesa y mucho craic (buen rollo irlandés fácilmente contagioso). Nuevos amigos ¡Céad Míle Fáilte! Kathryn O'Connor-Barton, TCRG, ADCRG, principal and director, is certified and registered with the governing body An Coimisiun le Rince Gaelacha, Dublin. Die O'Kelly Academy ist die einzige registrierte Tanzschule für traditional Irish Dance in der Steiermark, in der man das "echte" Irish Dance lernen kann, wie es in den weltberühmten Shows "Riverdance" & "Lord of the Dance" getanzt wird! Unter der Leitung von Österreichs jüngstem TCRG (kommissionell geprüfte Lehrerin unter CLRG, der größten Kommission für Irish Dance mit Sitz in Dublin) Carmen Palensky und Leadtänzer & Choreograph Philipp Gaber bieten wir Irish Dance als Hobby- oder Leistungssport an. The Academy of Irish Dance was set up in 2008 by Damian O Neill T.C.R.G is registered with An Comhdhail Muinteoiri Na Rince Gaelacha. and is based in Co. Derry and Co.Tyrone, N. Ireland. Classes are for boys and girls aged 4 and upwards both in solo and figure dancing, from beginner to open level. O'Neill Geraghty School Of Irish Dance is located in Roscommon, Leitrim & Dublin. Registred with An Coimisiun Le Rince Gaelacha. Welcome to the O'Neill James School of Irish Dance! We are a family-run, student-oriented school for dancers of all ages and abilities. Established in Washington DC in 1969, ONJ is proud to be the longest-running Irish dance school in the Nation's Capital and one of the oldest in the United States. My mission is not only to share my love of Irish dance, culture, and heritage, but to foster in each dancer a strong sense of self esteem, confidence, teamwork, and a healthy mind and body . I have classes for boys and girls age four and up, beginner to championship level, and I also offer Ceili and step dancing classes for adults. I provide a fun and disciplined learning environment that encourages each dancer to develop his or her skills through hard work and respect. At ONJ there is no pressure to dance competitively. I believe in helping each dancer find what is comfortable for them. There are many ways to enjoy Irish dance at a level that is comfortable for each student, be it individual and team competitions, performances, non-competitive events, summer camps or just weekly class. To love to dance is most important. he founder of the O’Connor School of Irish Dancing, Bella Yerina, came to the United States in 1960 from Waterford, Ireland where she danced with the Troy School of Irish Dance. She founded the O’Connor School in San Francisco, California in 1978. In 1980 Bella moved to Thousand Oaks and has been teaching throughout southern California ever since. Starting in 2011 Joell Poppen, one of Bella’s two daughter took up teaching for the school with guidance from Bella. Throughout the years Bella and Joel have had numerous teams and individuals compete at the regional, national and world level. The school emphasizes the joy of Irish dance and sportsmanship through competition and makes that a priority. To ensure a fun learning environment that will assist our students to reach their full potential and to celebrate the joy of dancing and competition. Wir, die Shamrock Dance Company Vienna, sind ein Verein für Tänzer und TänzerInnen aller Altersstufen. Die Bandbreite unserer TänzerInnen reicht von Kindern über Teenager zu Erwachsenen bis jenseits der 60. Jede/r kann bei uns tanzen und jede/r soll sich bei uns wohlfühlen. Nicht nur bezüglich der Altersstufen herrscht bei uns Vielfalt: Multikulti ist ein Schlagwort, das uns gut beschreibt, denn unsere TänzerInnen kommen nicht nur aus Österreich, sondern auch aus nahen und fernen Ländern wie z.B. Großbritannien, Japan, Polen und der Slowakei. Für uns gibt es keine Trennung nach Gesellschaftsschicht, Religion, Geschlecht oder Orientierung. Wir verstehen uns über Generationengrenzen hinweg wegen unserer Liebe zur irischen Musik und zu allen Formen des irischen Tanzes, und last, but not least dem Spaß, den wir alle dabei haben! Eine Besonderheit sind unsere Summer und Easter Camps in Österreich oder Irland, bei denen wir die SchülerInnen unserer irischen Partnerschule zu Gast haben oder in Irland zu Gast sind – unser eigenes tänzerisches und sprachliches Austauschprogramm! Während wir uns bei Showauftritten als Shamrock Dance Company Vienna präsentieren, treten wir bei internationalen Wettbewerben als assoziierte Schule der Rafter School of Irish Dancing in Irland an. Wir sind durch die Assoziation mit den Rafters und in der Region Kontinentaleuropa auch über die Mitgliedschaft von Simon bei Regional Council of Continental Europe and Asia (RCCEA) mit CLRG – An Coimisiun le Rinci Gaelacha (dem größten Dachverband für Irish Dance als Wettkampfsport) – verbunden. The Redmond School of Irish Dancing is a registered school with CLRG. The teachers are Catherine Redmond TCRG and Renske Burghout TCRG . We offer Irish Dance to dancers of all ages and levels.If you would like to take part in a class just contact us. Irish Dance Lessons given in Amsterdam and Den Haag. Reel Irish Dance Academy Serbia, short RIDAS, is a place where you can learn traditional, modern, and old style of Irish dance. Classes are held in Belgrade for students from 5 to 26 years old. The teacher is Marko Mićić (TCRG), who has a master's degree in Traditional Irish Dance Performance (The Irish World Academy of Music and dance, from the University of Limerick). Located in Mississauga, Ontario, Canada, the Reilly School of Irish Dance has classes available for boys and girls aged 3+, from beginner through to championship level. Katie a Reilly, T.C.R.G works with students to build their confidence and fitness through fun and engaging dance classes. The school is registered with CLRG and aims to work with students in a friendly, fun and positive environment. Rince Diabhal was founded in fall 2009 by (now Drs.) Kyla Casey and Hannah Gold. The group’s adviser, Megan Kelly Tisdale, has served as the group’s “coach” since its inception; all of Rince Diabhal’s dances, however, are choreographed by the group as a whole. Interested in joining us? We welcome all potential members regardless of previous dance experience. Our dancers range from highly-competitive champions (including Brian Perry-Carrera, TCRG, and 2017 Senior Men’s World Champion) to brand new beginners! Our motto is “full inclusion, but no requirements,” meaning that all members are invited to perform in all of our shows if they feel comfortable, but they are never required to do so. Rince na Gréine (“Dance of the Sun”) Irish Dance is located in Hopkins, Minnesota, USA. We teach traditional Irish Dance to ages 3 through adult. Owner and Dance Director Lauren Adams-Plehal has been Irish dancing since 2005 and teaching Irish Dance since 2014. She grew up dancing and competing in Cumann Rince Náisiúnta (CRN), the National Dance Association of Ireland, and is currently working toward becoming a certified instructor with that organization, obtaining her ODCRN. At Rince na Gréine, we want our dancers to experience the joy of Irish Dance in any way they want to, whether that is just for recreation, or through performance or competition. We are an Open Platform school, meaning we welcome anyone to dance with us. Rince Na Lisboa Academy of Irish dance is the first and only CLRG registered school in Portugal and was founded by Mira Amadea TCRG in 2014. Rince Na Lisboa has about 60 students in Lisbon and Cascais area. Classes are for all levels and ages. Rising Tide offers recreational and competitive Irish dance lessons for students ages four and up. Our mission is to build a community of passionate and skilled Irish dancers, and their families, committed to exemplifying the Rising Tide values and elevating the profile of Irish dance in the region. Students will learn from two highly qualified, engaging instructors committed to helping each student reach their full potential through goal setting, motivation and feedback. Classes are held in Halifax, Nova Scotia, Canada. Click HERE to see the article on The Rising Tide Irish Academy from the May 2015 issue of IDM. ROIS, Rome Irish and Scottish Dance School, was recently established in Rome by a group of teachers with over 10 years of experience. Classes are available in various locations across Rome, for adults, teenagers and children. Our aim is to spread Irish dance and traditional Irish culture in Rome. We organise events for our students and those passionate about Irish culture related both to dancing but not only: céilís, workshops, grade exams, displays, and trips to Ireland. Anne-Marie Rojahn TCRG established the Rojahn Academy of Irish Dance in 1999. Our school offers solo, team (céili), competitive and show dancing to children and adults, as well as national and international workshops and performances. Levels range from beginner to World championship standard. Ronan Morgan School of Irish Dance Prague, Czech Republic, St. Petersburg, Russia, and Taipei, Taiwan. Registered school with CLRG. Rosalie Wagenaar verzorgt Ierse danslessen voor kinderen en volwassenen in Maassluis, Bergen op Zoom en Terneuzen onder naam van Rose Irish Dance School. Rosalie heeft haar certificatie voor docent Ierse dans behaald bij de oudste en grootste dansorganisatie van Ierland, CLRG. Één van de belangrijkste dingen binnen de lessen vindt zij, is om aan eenieders individuele dansbehoefte tegemoet te komen. Je kunt natuurlijk komen dansen voor je plezier, maar als je op hoog niveau aan danswedstrijden deel wilt nemen, dan is dat ook mogelijk! Rosalie geeft je een goede, technische basis om vanuit verder te kunnen. Het doel is om iedereen z.v.m. persoonlijke aandacht te geven, zodat je'gezien wordt' en op je eigen manier z.v.m. uit de danslessen kan halen. Om dit te bewerkstelligen worden de lesgroepen bewust klein gehouden. De minimumleeftijd voor Ierse dansles is 5 jaar. Classes in Maassluis, Bergen op Zoom, Middelburg, & Oostburg, Netherlands. El baile irlandés tiene varios enfoques, siendo el “purista” el que más íntimamente guarda las tradiciones. Otra corriente más moderna se crea a mediados de los años 90 con las puestas en escena de las compañías de danza “Riverdance” y “Lord of the Dance”. Estas tienen su base en la danza tradicional irlandesa pero se permiten innovaciones. Nuestra escuela fusiona estos dos enfoques, manteniendo su base tradicional y valorando su importancia, pero a su vez indagando en la diversidad de ritmos y movimientos que nos brinda la danza. El baile irlandés exige lo mejor de uno, física, mental y espiritualmente. Este esfuerzo es individual y colectivo, “uno para todos, y todos para uno”. Las clases están divididas en cuatro niveles que tienen objetivos específicos. Saol Academy of Irish Dance holds classes on the northwest side of Chicago for dancers ages 4+. We are dedicated to making Irish Dance an experience that will improve all aspects of your dancers' lives, and our #1 goal is to have fun! Our approach is to cater to each dancers' individual goals, whether they are interested in competition, performances, or simply to learn a new art form and get some exercise. Sarah Clark Academy first opened its doors in September 2004. Created by Sarah Clark ADCRG who first had the vision of bringing Traditional Irish Dance to the already culture-rich city of Paris, the Academy has gone from strength to strength, producing world class dancers and performers who have since gone on to compete at World Championship level and perform in internationally acclaimed Irish Dance shows. We teach all aspects of traditional Irish Dance, starting with solo soft shoe before progressing on to solo hard shoe, Ceili team dancing and we also teach a more modern dramatic take on the art form through performance style Irish dance. Numerous students represent the Academy through competing all over continental Europe and in the United Kingdom and Ireland. Through our shared love of the Irish Dance art form we have created a wonderful sense of team spirit within the academy. Everybody inherently supports, respects, encourages and inspires each other and we work hard on maintaining this ethos. In 2015, the Kelly-Wright Academy and la Sarah Clark Academy mergde to become “The Irish Dance Academy”. The “association” keeps the same name, but the dancers now compete under “The Irish Dance Academy”. The english part of the school is based in Pinner, Harrow, Kingsbury & Finchley, London. We also have dancers in Norway ! SRCD run an Irish Dance school registered with An Comhdhail. Our classes are open to children and adults of any age and ability and are held in the Kildare area. Scoil Rince Daryl Rose teaches Irish dancing to students as young as age 3 from all backgrounds, levels, and abilities. Ask us about starting classes today! Scoil Rince Luimni offers Irish dance instruction to boys and girls, from first time beginners to elite champions, as well as adults. Irish dancing is a traditional, cultural form of dance that has evolved into a highly athletic artistic sport. Irish dancing promotes healthy competition, setting and achieving goals, and fosters teamwork and friendship. We believe in promoting life skills through Irish dancing in addition to promoting healthy life choices. Scoil Rince Luimni offers a curriculum far beyond Irish dance skills. Stop by one of our classes or email us to find out more about joining our Academy or booking us for a performance. We'd love to hear from you! Westfield, Springfield, Agawam, & East Longmeadow MA. A fully qualified teacher since 2009 Patricia has toured the world with Riverdance. The school is fully registered with CLRG and welcomes both girls & boys age 4+. Classes are offered in Coolaney and Ballinacarrow. The Scott Murray School of Irish Dancing was established in June of 2016 by a Two time An Chomdhail World Champion. Our classes are offered in Hamilton, Scotland and we adhere to our core values of Feis, Fun and Friendship! We have a strong link to our local community and it is reflected in the atmosphere and within the class and from the Hamilton people. Taniec irlandzki kształtuje sylwetkę i poczucie rytmu, a także poprawia koordynację ruchową oraz kondycję fizyczną. Nasza szkoła nie jest tylko szkołą tańca, ale również miejscem spotkań z przyjaciółmi oraz polem walki z własnymi słabościami. Setanta – Academy of irish dance jest jedną z największych szkół tańca irlandzkiego w Polsce, związaną z najstarszą i największą organizacją zrzeszającą tancerzy irlandzkich – Komisją Tańca Irlandzkiego (An Coimisiun Le Rinci Gaelacha). Siedziba szkoły mieści się w Warszawie, ale zajęcia i warsztaty są organizowane również w innych miastach w Polsce, kształcąc tancerzy na wszystkich poziomach zaawansowania, w tym medalistów międzynarodowych zawodów tańca irlandzkiego. Founded in 2016, the Shamrock Academy of Irish Dance is located in Mahomet, Illinois, and serves students from Mahomet, Champaign, Urbana, Tolono, Monticello and more. Classes are taught by Allie Hartlein, who is an Associate Member of Cumann Rince Naisiunta (CRN). We offer competition and performance-based classes for students ages 3 through Adult. Sheahan Gormley School Of Irish Dance, Hudson Valley NY & PA The school is registered with CLRG. Registration is year-round and offers seasonal sessions and pay-as-you-go Irish dance instruction in Hudson Valley New York; Warwick, Greenwood Lake, Chester/Goshen, Monroe and Washingtonville New York and Milford, Pennsylvania. Registration is always open to dancers of all levels and ages. We offer infused Irish dance classes as well as private lessons for students with competitive, performance, or recreational goals. Učíme děti od první třídy základní školy po dospělé. Výukový program i pro dospělé 55+. Zpestříme vám firemní večírek, ples, doprovodný program a jinou akci naším vystoupením irských tanců dle vašeho přání.